Get great service and pricing on Driver Helpful® DOT Physical Exams for Commercial drivers and School Bus Physicals at our convenient office in Dallas, Texas. Come meet our driver helpful and qualified staff. Our office is located in North Dallas at Forest Lane and Abrams Streets. Same day appointments are routine. No long sitting in the waiting room! Pass Your Physical Exam! 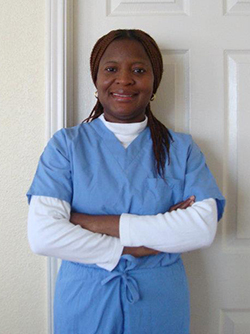 With her extensive knowledge of the medical guidelines, Dr. Ogechi Guinness, will steer you through the DOT physical exam requirements and Keep you Truckin’. Dr. Guinness has performed thousands of CDL Physical Exams for commercial drivers. If your looking for a DOT Physical Exam in Dallas, Texas, you’ve come to the right place! 635 heading West, Exit Forest lane and make left, go pass Abrams light, we are located opposite Walmart, behind bank of America.